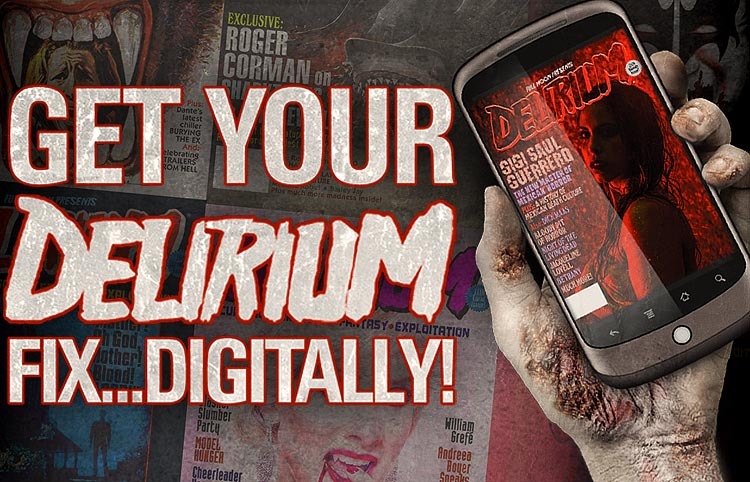 In the pages of DELIRIUM #18 (you can purchase that stunning new issue here), playwright-turned-screenwriter John Logan spoke to us in an exlcusive interview about making Ridley Scott’s GLADIATOR, the flying-fox frightfest BATS, Tim Burton’s SWEENEY TODD, his recent collaboration with Scott in ALIEN: COVENANT, his high-concept Gothic series PENNY DREADFUL and his deep abiding love for Hammer Horror and Full Moon’s SUBSPECIES series. 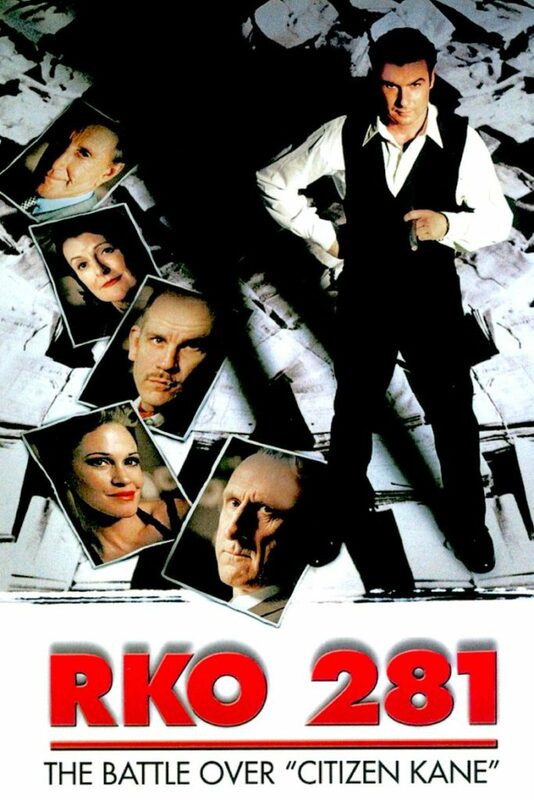 Now, in this addendum to that interview exclusively published here, Logan discusses his stunning script for the Benjamin Ross-directed 1999 HBO cable film RKO 281. The film stars Liev Schrieber as Orson Welles and John Malkovich as Hank Mankiewicz and it details their struggles making and exhibiting what still stands as the most influential and important American movie of all time: Welles’ controversial first film, 1941’s CITIZEN KANE. Not only does Logan dissect this underrated masterpiece, he also discusses the making of Martin Scorsese’s THE AVIATOR and HUGO as well as his application of Shakespearean drama and character arcs in virtually everything he does. DELIRIUM: RKO 281 is one my favorite films – the performances, the dialogue and specifically the relationship you captured between Welles and Mankiewicz, all sharply observed and deeply human. As a writer, did you put any of yourself in what Mankiewicz must have endured at the hands of Welles caustic ego? JOHN LOGAN: Yeah, of course. I always say that the most important relationship I have artistically is with directors. I’m not a director, I have no interest in directing, it’s not my gift but my closest collaborators are always directors. I worked with great directors both on the page and in TV and movies and it’s brought so much to my work and so I have great respect for that. The best experiences I’ve had in theater and film is when I and the director are speaking the same language, we were all telling the same story. I’ve had those experiences where it’s been difficult and it’s frustrating for all the parties concerned and so the relationship between Welles and Mankiewicz mirrored in a way one of those experiences, where you go into the trenches with a partner and then you realize he’s fighting a cavalry battle while I’m fighting an artillery battle but at the end of the day, after the war is over you can look at your comrade and say, yet we fought this battle together. RKO 281 is a deeply personal story to me because it deals with all the things that are important, which is artistry, the creative spirit, the social responsibility, the personal responsibility of an artist to individual people and the world around him and plus it’s a refracted view on one of the greatest pieces of art ever created, so to get to go into that world with Ridley Scott who I developed and wrote it with, has been incredibly fulfilling. LOGAN: But again, that comes back to Aristotle and Shakespeare; there are no heroes, there are no villains, there are antagonists and protagonists. There are forces in opposition and you have to love your antagonist as much as your protagonist and in my case I try to bend over backwards to make the villains acceptable, understandable and human in some way. That’s something I’ve always been interested in doing because that’s what Shakespeare did, you can’t look at a character like Titus Andronicus, Macbeth or Richard the Third or even Iago and say that person is a completely alien, evil character because they are human, they are accessible to you in some way. DELIRIUM: Any further thought about the Herculean task of bring Welles to life? LOGAN: You know, whenever you approach one of those huge men or women it’s intimidating, especially if it’s an historical figure. In my career I’ve chosen to dramatize a few of them, and to approach a character like Howard Hughes, Orson Wells or Thomas Wolfe, there’s a fair amount of intimidation, you have to gulp a bit. For me, it was always figuring out what was the first way I could get into the character. For Wells, one of the things I have to grapple with is his language, a language steeped in Shakespeare and Celtic mythology and French poetry, as you can imagine he was so well read, so worldly, even by the time he met Welles he was completely versed in every foreign language so the first thing I wrote was the speech he gave to the company the day that CITIZEN KANE started filming. I’ve always set myself the challenge of writing the most difficult verbiage first with a character like that, so I can work through that, a day, a week, six months, to get the quality of one speech, I can than extrapolate to an entire character. Welles was joyous to research, joyous to spend a year with, I’ll tell you that. DELIRIUM: You mentioned Howard Hughes there, but how about the task, the responsibility of tackling Hughes’s OCD on screen in THE AVIATOR? LOGAN: Yeah, it was challenging, that was five years of work to research and write THE AVIATOR. Initially I worked with Michael Mann and then Martin Scorsese of course and all the way along Leonardo DiCaprio was involved, the only other person who was in on every draft of that script, there was something like twenty five drafts that I did. Leonardo was particularly sensitive to the fact that, I’m playing a character with a disease, it has to be real, we have a responsibility and so he did a lot of research on his own and then he would talk with me and we’d talk it through to make sure we weren’t being cliché about how to present the man and his genuine medical condition. The easiest thing to do in drama is to make fun of something, the hardest thing to do is to take it seriously and to make sure the audience takes it seriously as well. Which is why by the way, here’s an offset, we gave Silva in SKYFALL that huge speech on his entrance because Sam Mendes and I knew we were going into a cliché situation, where here is a scene where James Bond and the villain meet and the villain is going to speak about his plan, and so we thought to tackle that head on, let’s surprise the audience, do something very unexpected so they will take this character more seriously than they might and it would step beyond the world of a cliché James Bond troupe. I loved working on THE AVIATOR, it’s probably the film I’m most proud of but I give a lot of credit to Leonardo DiCaprio. 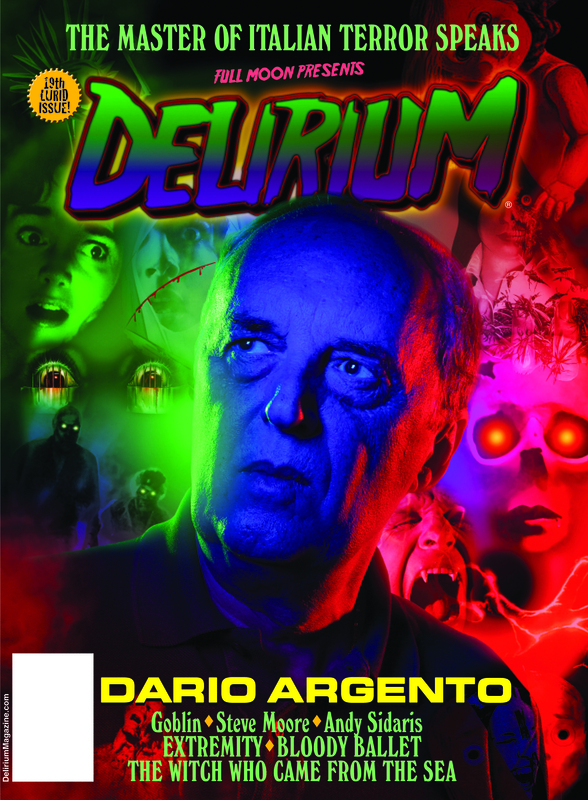 DELIRIUM: HUGO was another beautiful collaboration between you and Scorsese but obviously going back to the ground zero of cinema there and essaying the world of George Melies and bringing that character to life. Could you talk about that a little bit?